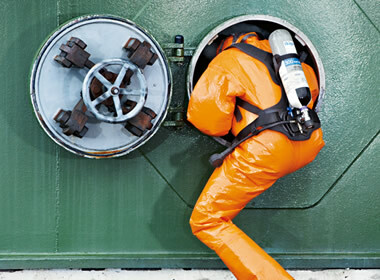 Every year, hundreds of employee deaths and thousands of injuries occur in and around confined spaces. In 1993 OSHA addressed these hazards in the Permit-Required Confined Spaces Standard for General Industry. Its May 2015 Confined Spaces in Construction Standard extends similar protections to workers in the construction industry. The new Standard also clarifies many points in the earlier General Industry rule. Depending on the tasks their workers will be performing in the Permit Space, many employers that don’t normally consider themselves to be in the “construction” business may find that the Construction Standard applies to them, as well. Safety Aspect’s Confined Space Entry training program provides employees with current facts on confined space hazards, how a Permit Space Program reduces these risks, what roles they may play in a confined space entry, how to keep themselves and their co-workers safe inside, and more. The most common type of hazard encountered in trenching and excavation work is the trench cave-in, but there are other hazards that may not be as well known. 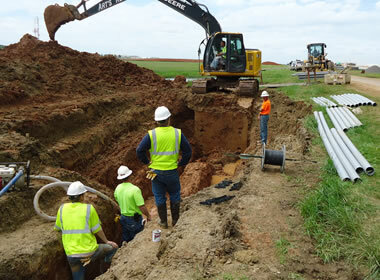 OSHA revised Subpart P, Excavations, of 29 CFR 1926.650, 29 CFR 1926.651, and 29 CFR 1926.652 to make the standard easier to understand, permit the use of performance criteria where possible, and provide construction employers with options when classifying soil and selecting employee protection methods. Have our professional OSHA-authorized Outreach trainer come to your site and conduct the Competent Person for Excavation Training course for your group. We also address any nuances that may appear in state OSHA regulations regarding their excavation standards, where applicable. This course is designed for workers, supervisors, and employers, and provides a basic knowledge of concepts such as soil types, soil testing, types of trench collapses, trench protection, and safe work practices.